Insights, best practices and collaboration from an HR-as-a-Service solution your employees will love. Organizations can now benefit from an integrated, HR-as-a-Service solution that is ready to run HR and payroll in 188 countries, combining secure cloud technology with industry-leading HR services. 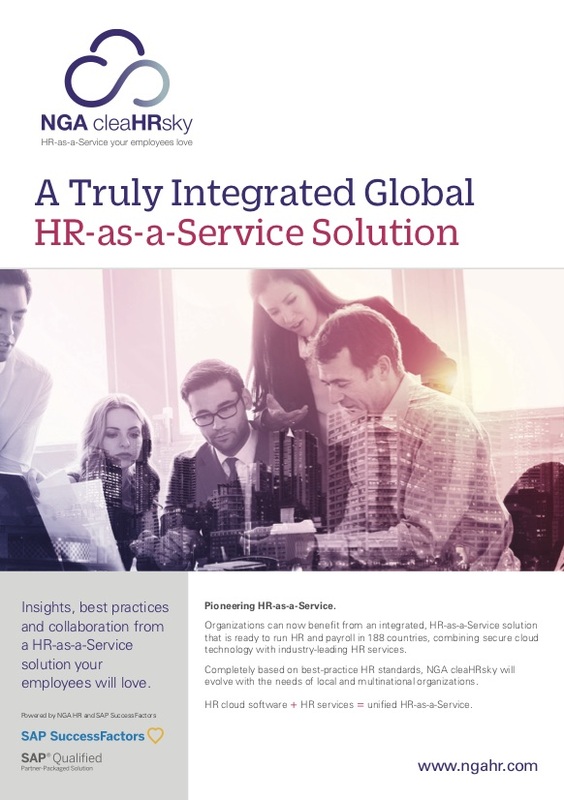 Completely based on best-practice HR standards, NGA cleaHRsky will evolve with the needs of local and multinational organizations. HR cloud software + HR services = unified HR-as-a-Service. Removing this complexity and cost of HR dataflow, businesses can have the assurance that data will seamlessly integrate across even the most complex hybrid payroll landscapes. 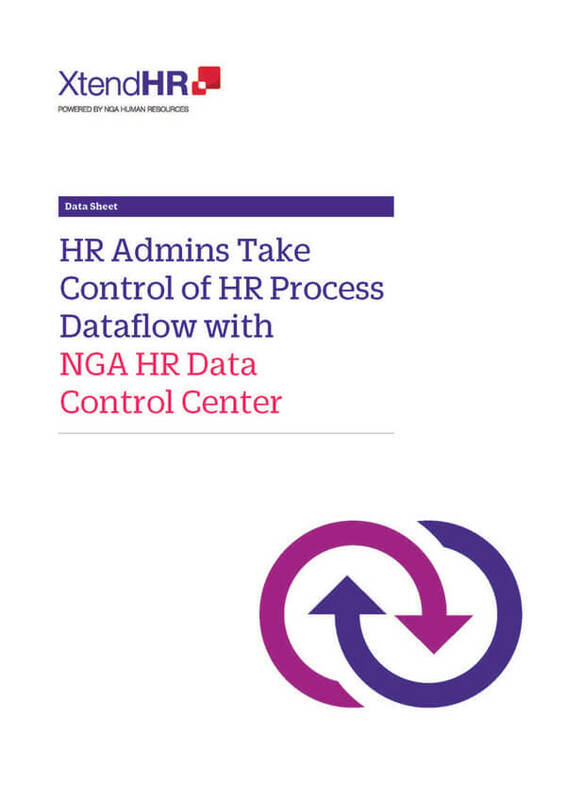 Application management support (AMS) is built into NGA HR Data Control Center to ensure ongoing high performance.